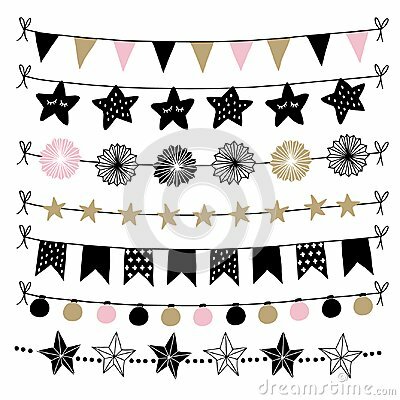 Set of birthday, New Year decorative borders, strings, garlands, brushes. Party decoration with Christmas balls, baubles, light bulbs. Bunting flags and paper lanterns. Isolated vector objects.